One of the families who came to see me was a group of three siblings who I’ve photographed several times over the last year or so. Our last session was an outdoor one last summer. It’s so nice as a RI children’s photographer to get to see families and children multiple times a year! Also, it’s always amazing to see how much kids grow, change, and learn in just a few months. Our studio session was quick and easy. Oldest sister J is a pro at posing (and princess dresses!) 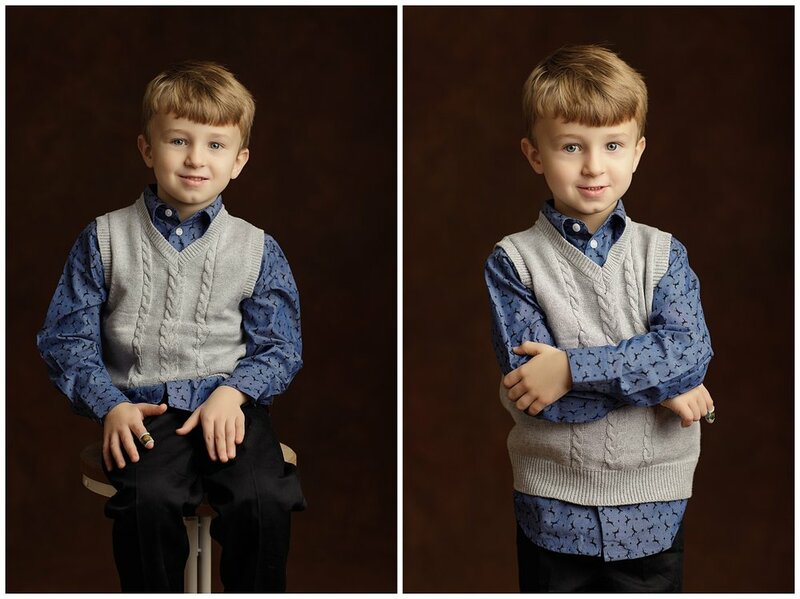 Middle brother J looked super handsome in his vest and button up shirt and has the sweetest smile. Youngest sister C was very happy to be there! Her gold dress coordinated beautifully with her siblings’ outfits. We did some individual portraits and then a photo of all three together. I know that’s one photo that mom is going to love looking at for a long time to come! Check out their session below. To schedule your own studio session, get in touch.